In Silicon Valley, we lionize and deeply study the founders of some of the greatest companies built here. And with good reason: when you change an industry and build a multi-billion dollar company that reaches millions, you must be doing something right. When you think about those characteristics, names like Jobs & Wozniak (Apple), Musk (Tesla & SpaceX), and Benioff (SalesForce) all quickly come to mind. 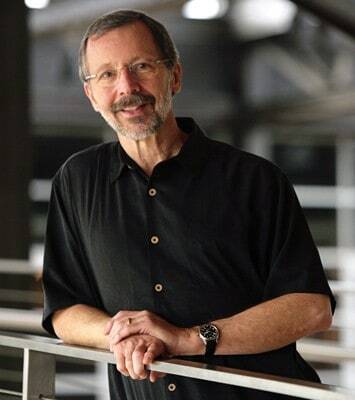 There’s another name that deserves to be in the same pantheon: Ed Catmull. If you’re not familiar, Ed Catmull is one of the cofounders of Pixar, the movie studio that has put out hit after hit after hit since pioneering the computer animated feature film industry with Toy Story. Since that first hit, Catmull has not only guided Pixar to continued success while rapidly growing, but he has also turned around the Disney animation department; when Disney bought Pixar for $7.4 billion, Catmull also worked on fixing that department which hadn’t had a hit in over a decade. I recently read Ed’s book on leadership, called Creativity, Inc. It’s an amazing story of a humble leader working hard to make a 20+ year dream a reality and then building a great company to continue their early success. The book is loaded with great leadership insights as well as behind the scenes stories any fan of the Pixar films will appreciate (including the lengthy struggles with a story that is now a film coming later this year). The following Ed Catmull quotes are my favorites from the book, which has a lot more depth and ideas well worth learning. These apply to any leader that wants to inspire and lead others, and especially to managers of people in creative roles. 1) A manager’s job is to protect & serve their people. Many people join management for the wrong reasons: power, control, ego, or money. To be a truly great manager, you need a servant mindset to help your team succeed. Throughout Creativity, Inc, Catmull displays an incredible humility towards working tirelessly to help bring out the best in his people and always look for problems that were getting in the way of that goal. Ask Yourself: What environment are you creating for your team? 2) An Open Door Policy does not work. “My door had always been open! I’d assumed that that would guarantee me a place in the loop, at least when it came to major sources of tension like this. Not a single production manager had dropped by to express frustration or make a suggestion in the five years we worked on Toy Story. Catmull believed that he was making himself readily available for anyone that wanted to talk, but he learned the hard way when none of the production manager’s came to him with a major problem that bothered them. Production managers often have temporary jobs, so they worried voicing their opinions would endanger future work opportunities. They loved working on Toy Story and felt great purpose, so they thought it was okay to put up with it. They didn’t want to be considered complainers. Your team may not be making a first-of-its-kind feature-length animated film, but there are plenty of reason why your people won’t come to your open door. You have to ask. Ask Yourself: Do you actively look for problems to solve to improve your team and their environment or do you wait for them to come to you? 3) There will always be problems to find and fix. After the success of Toy Story, Catmull decided that his new career challenge would be to build a great organization at Pixar which meant constantly looking for problems and fixing them as the company grew and changed. Rather than blaming people for problems, Catmull believes it’s on the company and its leadership to identify and address them. Think about how that mindset. It makes it safe for anyone to identify problems and focuses on the real end goal: unleashing the full potential of everyone towards the company’s goals. Ask Yourself: Do you lead your people with an eye to blame or to the end goal of a better place to work? 4) Having great people matters most. Pixar works hard to hire the best people and then give them extremely difficult challenges. Under pressures of time and to make really great films, they have managed to always deliver. This is not an accident. You may not always get to pick your team, but any time you’re hiring, don’t settle for less than what you know you need. If you have great people and take care of them, you can tackle any challenge thrown at your team. Ask Yourself: Do you strive to build a great team? 5) Great people lead to great ideas. No Pixar movie ever started out as funny, heart-felt, and well-written as what we see in theaters. In fact, many of them were complete disasters at the start. In the first cuts of Toy Story, Woody was a total jerk that everyone watching the movie hated. It was only through great candor from various team members to stand up and say that was the case and the incredible efforts of everyone on the team to redo dozens of scenes to fix Woody that you ended up with the lovable, Tom Hanks-voiced Woody. If Catmull and the other leaders had not developed an environment to allow their people to be great, the necessary fixes to make Toy Story and so many of their other movies great would not happen. Ask Yourself: Do you support your people so they can produce the great results you need? 6) Candor is the secret weapon to great results. At Pixar, they have something called The Braintrust. It’s an essential part of every movie’s development. The Braintrust watches early cuts of a movie and helps the director and his team identify problems in the film. These people are experts in storytelling and have been on the other side of the table getting the feedback. In one film, there was scene of an argument between two characters and the Braintrust all thought it was wrong. Many wanted to scrap the scene or rewrite massive parts of it. Next session, they observed the film team’s changes and loved it. Yet, there wasn’t a single word changed; instead, the team had changed the size of the two characters so one character didn’t tower over the other as much. Ask Yourself: Do you create a safe place for you and your team to discuss problems? Do you trust your people to come up with solutions or dictate the answer? 7) Failure is a major learning opportunity. Failure is common at Pixar. It’s something they embrace as part of the creative process. They’ve actually had films they have invested years in developing shut down because they felt it was not coming together. It still hurts, but leaders like Catmull lead by example by admitting their own failings. They also use it as a way to prevent indecisiveness; even if you make the wrong choice, you’ll know more than you did before. That shift in mindset is powerful, especially when people feel stuck. It makes action the default instead of worrying about making the wrong choice and failing. 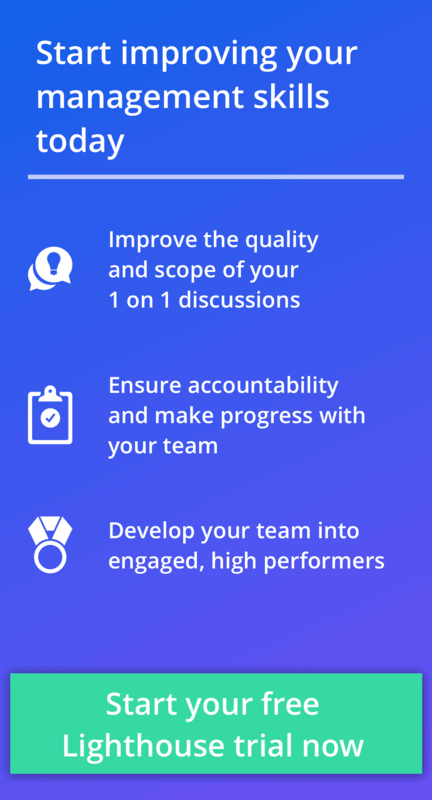 Ask Yourself: Is it safe to fail on your team? Are people afraid to take risks even if they may pay off significantly? 8) Leadership is about developing others. As Pixar grew, it became clear they would need to have more directors to put out as many movies as they would like each year. That meant they had to invest in developing people they thought had high potential into actually being ready to develop a film in the future. Each director had some of those individuals assigned to them and they would have one-on-ones weekly with each of them. In those meetings, they gave them both advice and motivation as they started trying to develop ideas that could eventually be green-lit to be Pixar films. Building on the success of that program they also paired new managers with experienced ones to learn from them and share their challenges. 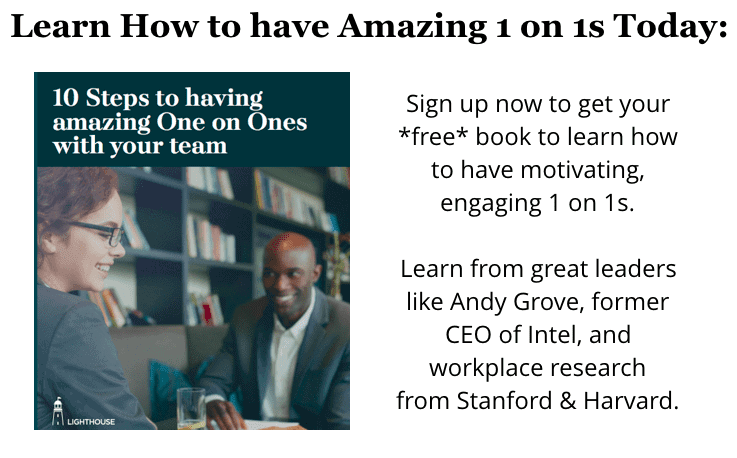 Ask Yourself: Are your one-on-ones status updates or are you developing your people to grow their strengths, address their weaknesses, and prepare for new roles? 9) Managers don’t prevent problems, they help recover from them. In many ways, what Catmull has done is set his company to do the opposite of what bad, slow-moving, big companies do. Normally, managers are under great pressure to deliver results and minimize downside. The problem is, that also reduces the potential upside as the fear of failure will make your people take fewer risks. It’s also easy for managers to be meddlesome and try to have all the answers. Learning to trust your people is important and empowering; when you give people some level of ownership and control, they will be more motivated and work harder than when it’s all dictated to them. Ask Yourself: Do you help your people take risks and recover from any negative results? As Pixar grew, their culture was evolving. They went from making 1 film to being bought by Disney for billions and making 3 films every 2 years. Throughout the process, Catmull and other leaders worked tirelessly to adapt to the changes and preserve their culture and the intentions behind what they’d always done. Change also means not holding onto any ideas too strongly. In trying to make great movies, that meant directors being comfortable abandoning major story points. In your company that may be killing a beloved feature, abandoning a long-standing process, or canceling a project that doesn’t yield the results it once did. Making your people comfortable with these changes is no small feat, which is where the real challenge of being a leader lies. Fortunately, we have great leaders like Ed Catmull setting an example for us all to follow and emulate. These ideas are just a small part of the many that Catmull shares in Creativity, Inc. If you love studying great leaders and their methods, this is a must read. It has made me a huge fan of his, and has me constantly seeking more content and quotes from him. What are your favorite Ed Catmull Quotes?